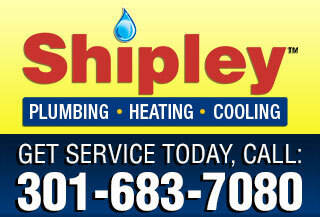 Shipley is your Silver Springs, Olney, Rockville and Bethesda, Maryland area plumbing and home heating and air conditioning experts. You’ll enjoy our clean, courteous and conscientious technicians and customer service. 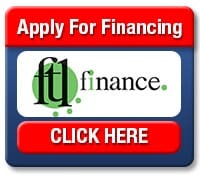 Choosing a plumber, drain cleaning, water heater or home heating and air contractor can be difficult. You want a company that is technically excellent. You want to work with clean, courteous, conscientious individuals. You want a company that stands behind their workmanship and products. No one knows this better than Shipley. We’re the Howard and Montgomery County, Maryland area’s best plumbers, home heating and air repair, replacement, maintenance and installation experts! 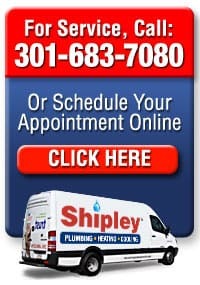 You can learn more about what makes us your best choice for Howard and Montgomery County, MD area plumbing, heating and air service by browsing the pages below. CLICK ANY LINK IN THE LIST BELOW.